Perfect work van for painting companies or a service van that fits in underground parkades. 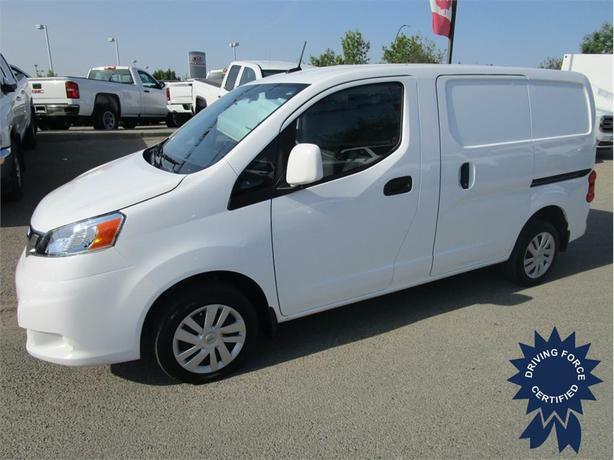 This highly equipped 2017 Nissan NV200 SV Tech Package features navigation, rearview camera, Bluetooth hands-free calling, cargo protection barrier, fuel efficient 2.0L gas engine, front wheel drive for increased traction in the winter months, dual sliding side access doors, low floor loading height for ease of use, 1338 lbs payload rating, steering wheel audio controls, clean CarProof vehicle history report, balance of factory warranty, 2 sets of keys, fresh service, and 120 point inspection. If you're looking for a Nissan NV200 or Chevrolet Express City call one of our fleet specialists in Calgary today and experience the DRIVING FORCE difference today. All prices include a CarProof report, lien check, 120-point vehicle inspection, complete mechanical fitness assessment, reports and summary of any repairs completed, commercial inspection (when required), two sets of keys, owner's manual and a full tank of fuel. DRIVING FORCE Vehicle Rentals, Sales Leasing is an AMVIC Licensed Company.